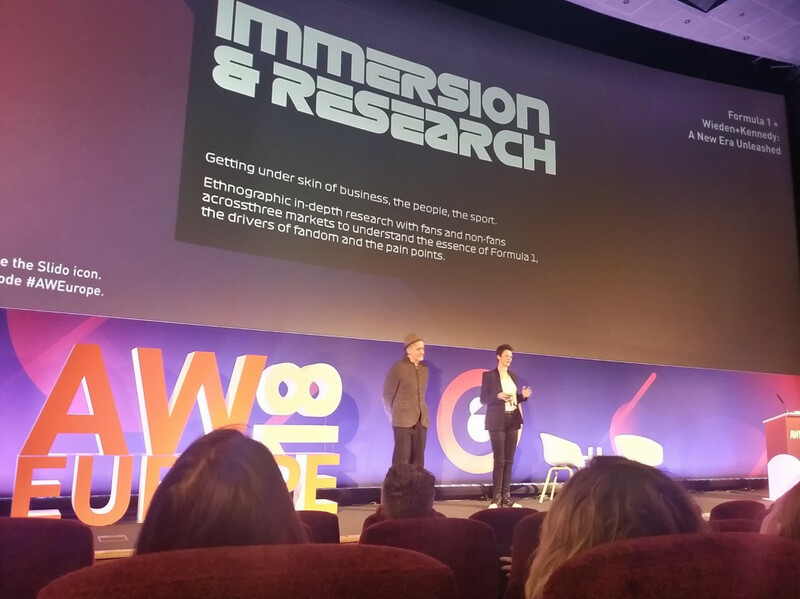 The 6th edition of Advertising Week Europe, the largest advertising, marketing & technology event in the world, took place in the heart of London, at Picturehouse Central. Buyer Brain was one of the exhibitors at AW TechX, a special occasion for startups to showcase their services and find investors willing to finance them. AW Europe is the place where the brightest minds in advertising come together, people who not only have extensive experience in this field, but who have changed the world through their insights. The event runs across the globe every year, reaching New York, London, Tokyo, Sidney and Mexico City, with over 39,000 attendees, more than 900 speakers, and 218+ events. 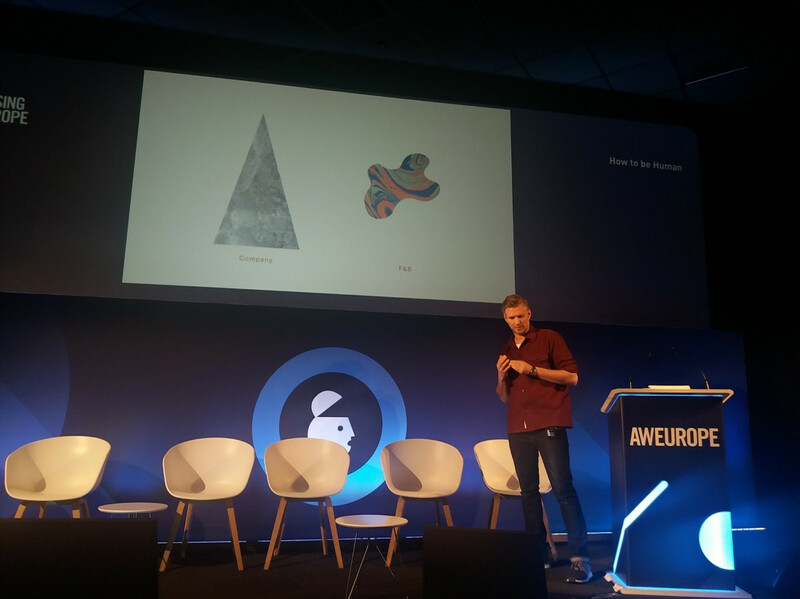 Our participation in AW Europe was an opportunity to get up to date with the latest trends in advertising & communication and to present Buyer Brain’s services at the technology exhibition. That’s why, when we received the invitation as exhibitors, we didn’t hesitate for a moment! Prepared with marketing materials designed & created by our sister company, Lemon Studio, we embarked on an adventure where we found people sharing the same passion and new business opportunities. If I were to describe the experience in one word, it would be „diversity”. Topics such as GDPR, Artificial Intelligence, Digital Transformation, or Gender Equality have attracted many participants who had waited dozens of minutes to attend the speeches. Below I will summarize some of the most exciting presentations of the event. Probably many of you have heard of Wieden + Kennedy, one of the world's top ad agencies, known especially for creating Nike's tagline: „Just Do It”. Tony Davidson, Executive Creative Director at W + K, and Ellie Norman, Marketing Director at Formula 1, captivated us by revealing some backstage details from the Formula 1 rebranding process, highlighting the main marketing message: „It's all about the drivers and the competition between them.” The creativity of the advertising team, as well as the client’s willingness to make bold decisions, have made this project a successful one. The Google speech was one of the most anticipated moments of the event. The company's representatives, Sridhar Ramaswamy (SVP, Ads & Commerce) and Matt Brittin (President, EMEA Business & Operations) emphasized that, although digital advertising has helped businesses and brands grow for many years, the industry still had major development problems in 2017. Exploring the most important areas where progress was done during the past year, they came up with the solution of creating an ecosystem that works for advertisers, consumers, and publishers. From topics that promoted gender and culture, to subjects that focused on the new generations and their issues, this event has put some very important social issues in the spotlight. For example, the Interpublic Group, which supports diversity at work, has made major changes among employees, supporting minority groups (Black, Hispanic, or Asian), as well as women for management positions. Also, Karen Stacey, chief executive for Digital Cinema Media, highlighted the stereotypes and prejudices in our society together with the negative impact that labels like „millennials” or „snowflakes” can have on young people. 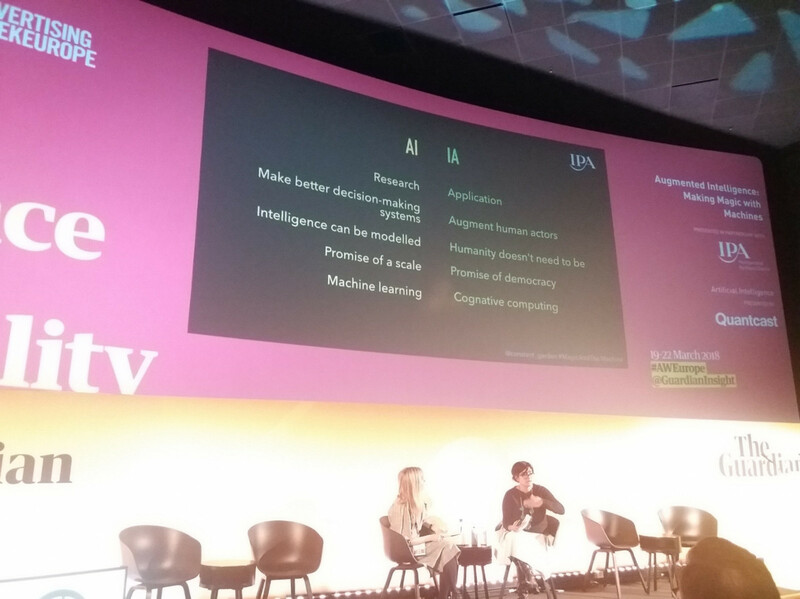 One of the most interesting topics was approached by the IPA and Sapient Razorfish representatives who focused on the creative potential of human and machines. Sarah Golding (IPA) and Melanie Cook (Sapient Razorfish) believe that man and machine together can make magic. They talked about AI History and about designing human and machine as one agent. This session made us think about what we, as a species, should be doing to ensure that humans remain central to an Intelligent World. Of course, there were also less science-fiction topics. For example, Samuel Akesson, Creative Director at Forsman & Bodenfors, took us on a trip down the memory lane about how he built an agency based on responsibility, trust, and courage, thus developing a different organizational pattern. According to this very democratic model, the whole team is held responsible, so testing & improvements are done collectively. Thus, any team member can provide feedback, no matter the position or the level of experience. If you are a junior member, you can give feedback to your boss, even if he has more years of experience than you. Open for all delegates, AW TechX by The Telegraph was an inspiring experience. Visitors have had an inspirational journey highlighting the most important technologies and innovations of the moment, holograms, AI, VR, and AR. Let's find out more. Bots and Us is a London-based start-up developing AI products that integrate perfectly into the daily life by combining social sciences with human-centered design and cutting-edge engineering. The company’s representatives introduced Bo, the social robot that optimizes the consumer's journey in the store, helping them find their products on the shelf. At the same time, the robot provides 24/7 support, taking on both basic tasks and more complicated operations. It might soon be your store agent who will make your searching experience easier. Brain Buyer was present for the 4 days of the event, during which we talked with everyone who stopped by our stand. Visitors had different backgrounds and areas of interest, coming from both the agency (advertising, media, PR) and client side (research, insights, marketing). Moreover, we have been selected to be part of the StartUp Pitch Competition by Venture Fuel & The Telegraph, where the hottest start-ups pitch their unique business to a demanding jury at The Telegraph TechX Stage. 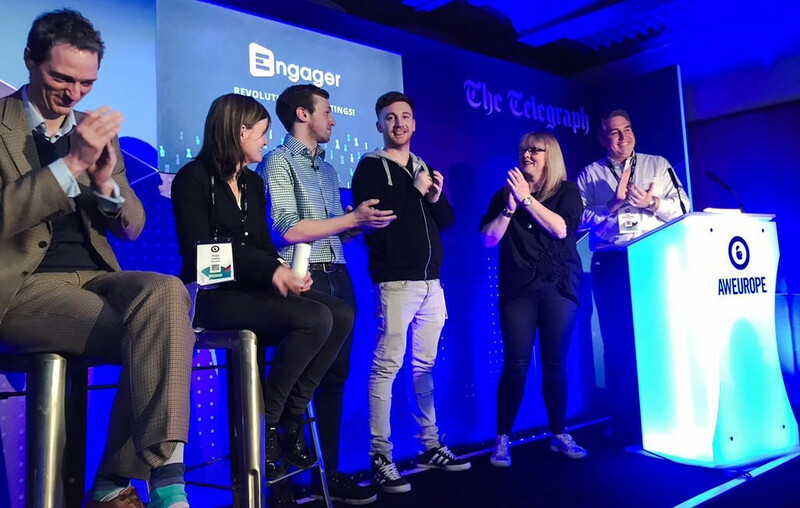 The pitch winner was Engager, an Irish company that provides broadcast ratings and data analytics, real-time media information and transparency in the audience demographics. Advertising Week Europe was an intense and knowledge-packed event, featuring talks that addressed some of the most important issues of today’s society. If you are still wondering if it is worth attending this event, the answer is a clear YES! Whether you are a student, an advertising aficionado, a business owner, or you already have a career in advertising, this event offers you the chance to keep up with new trends, meet new people and find new business opportunities. Our conclusion: do not miss this event! It's an experience that any advertising enthusiast must have at least once in his lifetime.